Home Best Baby Products mamaRoo Classic Vs Plush: Which Is the Superior Baby Swing? A baby swing, in case you weren’t sure, is a seat that provides soothing, rocking motions to help your child fall asleep. It is an excellent way to make sure your baby gets all of the proper rest that they need. The issue though, as is with buying pretty much anything that ever has and will exist, is that you might not be sure which of the particular items you want to buy is the best one. You don’t have to worry about that because this mamaRoo classic vs plush comparison guide will give you the exact details of what makes each one different and which one is the right fit for your kid. What Exactly Are the Big Differences Between the Two? First thing’s first, we need to settle what the actual differences between the two baby swings are. What exactly are the key things that distinguish one from the other? Well, one major difference is the material in which the covering of the baby swing is made of. The other major difference is the price. 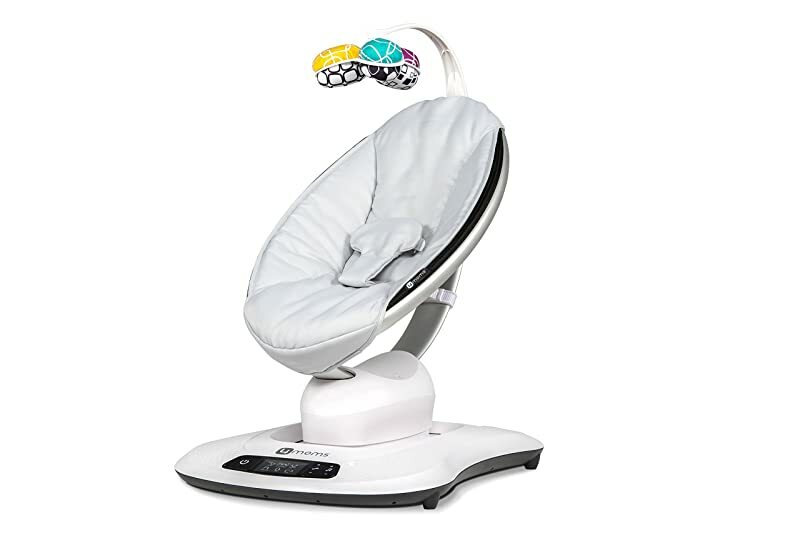 Both swings are of the mamaRoo 4 line; however, as with most products where one version offers certain perks, you’re going to pay more for the product with more “bells and whistles”. 4moms mamaRoo classic vs plush: Are There Any Specific Details About The Differences? As a matter of fact, there are some specific details that you should know about these baby seats. In this first round of mamaRoo classic vs plush, we’re going to compare the cushioning of each baby seat in more detail. To begin, the mamaRoo classic comes in both black and grey colors. The cushioning is removable and is made of a smooth, nylon fabric which is machine washable. 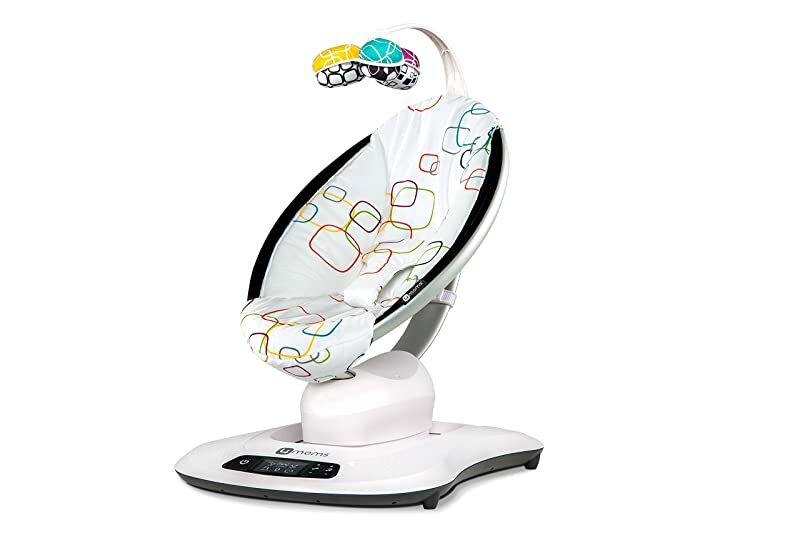 As you might expect from the mamaRoo plush baby swing, the seat covering is, well, plush. The fabric is very soft and velvet-like, so your baby might appreciate you more if this is the model you decide to go with. The plush seat has a removable cover just like the classic one and comes in both a pattern with multi-colored overlapping squares and a silver version of the same design. In the second round of this epic square off, the other difference that we need to address is the pricing of each product. The “difference” between the two is just $$, but it’s still something that’s totally dissimilar between the baby seats. Before, when I’d mentioned that you are liable to pay more for a product that has more functionality than another, this is what I was referring to. The mamaRoo plush does have an advantage over the classic version that justifies the (slight) price increase. Well, this seemingly incredible advantage that the plush has over the classic is…it’s plush seating. You can learn more about the 4moms mamaRoo in the video below. What Reason Is There to Choose One over the Other? You’re probably sitting there thinking that as far as perks go, the addition of plush seating isn’t really that big a deal and truthfully speaking, it really isn’t. It’s not as though the mamaRoo plush has any extra, stand-out features that would truly set it apart from the classic. That’s not to say that either is really inferior to the other, it’s just that in spite of their differences, these baby seats are very similar. why should you choose one over the other? The answer to that question will likely come down to personal preference and a willingness to spend a bit more money. If you want your baby to have that extra cushy seating, then, by all means, buy them the mamaRoo plush. If you feel as though the extra cushioning is unnecessary, then just stick with the classic. One other “personal preference” is aesthetics. The plush, is honestly, better to look at. It’s got a simple yet nice design that comes in two different colors. I’m not saying that classic is unattractive – you can’t go wrong with black and silver – it’s just that the plush seems to have had a little more effort put into the way it looks. In regards to the mamaRoo classic vs plush competition, possibly the biggest determiner for which one you’d want to buy comes down to what you’re willing or able to spend. $$ dollars is a pretty big factor considering that it’s just about one of the only things that can distinguish one baby seat from the other. Keep the question of, “Should I just go all out and get the plush?” in your mind and you will have your answer. Photo & Video credits: Amazon, britneyandbaby.